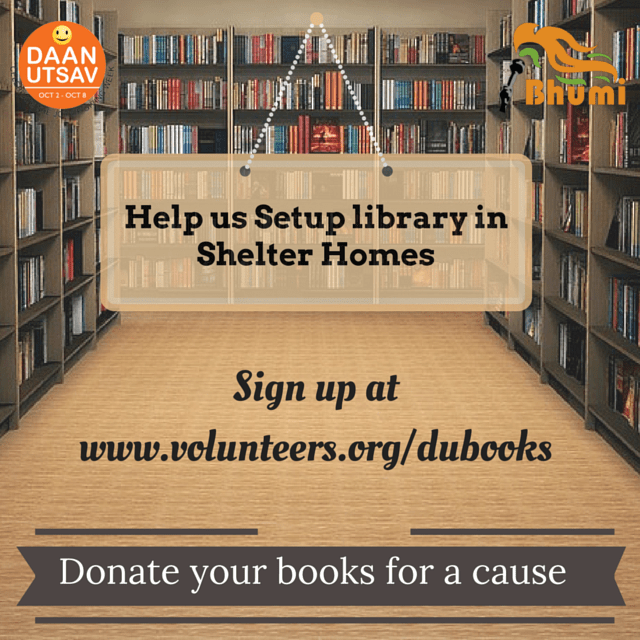 Help us setup library in Shelter home. Donate your books for a cause !! Posted in Ahmedabad, Bengaluru, Chennai, Coimbatore, Delhi, Goa, Hyderabad, Indore, Jaipur, Kolkata, Mumbai, Mysore, Pondi, Pune, Tanajavur, Tindivanam, Trichy and tagged Community, Education.